Join or Renew Your Membership in the Jasper Guild Today! I’m writing to thank you for your gracious support of The Jasper Project and invite you to join or renew your membership in the Jasper Guild. 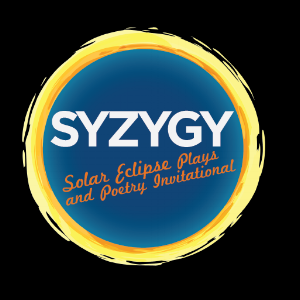 and conceptualized and presented a multi-disciplinary celebration of Columbia’s unique place in last August’s solar eclipse, called Syzygy, during which six new plays were written, published, placed in the Library of Congress, and performed alongside an eclipse-inspired poetry invitational with some of SC’s most luminary poets, as well as an open poetry call for emerging literary artists. All without one single paid employee. As we enter our 8th year of collaborative arts engineering I couldn’t be prouder of our labors and how they have contributed to Columbia’s growth as an arts hub and destination point. But I am mostly gratified by the talented lives we have touched and brought together. In a world where value sometimes seems arbitrary and worth is too often measured in clicks, views, and dollar bills, it is so meaningful to me that through Jasper we offer a reminder of what matters most in life – the people we impact and the contributions we make to our culture. And there is little more pure and given-from-the-soul than the art we make with our own hands, brains, and bodies. If you agree with me that the work Jasper does is important to your life and the life of your community I hope you’ll decide to join or renew your membership in the Jasper Guild. We recognize that many of our supporters are artists themselves so we have also included a self-selected artist peer level of membership at only $25. But if you can give more, I hope you will. Jasper receives no funding from the city or state government and, being only a city-wide organization we do not deal with the kind of large volumes that make publication and advertisement cost-effective. We rely on our guild members and our sponsors/advertisers to pay for the printing costs of Jasper Magazine and the overhead on all our projects, like those you read about above. And we see each copy of Jasper Magazine as our own work of art. The work all comes from our hearts and we’re ok with not getting paid money to do it. Jasper is an homage, a shrine, it is our gift - but we do need money to pay for it. Thank you for your kind attention. I hope you’ll visit www.JasperProject.org and join or renew your membership today. PS. Join or renew by Monday, September 10th and receive a free bottomless Jasper souvenir cup at the release party for the Fall 2018 issue of Jasper Magazine on Friday, September 21st at 6 pm at Stormwater Studios. 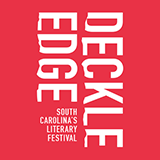 We’ll have music by Ethan Fogus and the Witness Marks, poetry from Ray McManus and contributors to Fall Lines, eckphrasis with USC’s MFA students, and much more. The entire ensemble delivers first rate performances which include McCue as the brainy and sassy Br’er Tiger, Charlie Goodrich as Br’er Bear, Michael Clark as Br’er Lion, and Jimmy Wall as Mr. Man and Tar Baby. Supported by percussionist Don Laurin Johnson, this talented group weaves a captivating web of magical sounds and sights. Moments of aural symphony encourage audience members to clap along, and in the case of my preschooler, offer an enthusiastic “Yeah!” At certain performances, alternate actors appear in the roles of Br’er Lion (Clark Wallace), Br’er Bear (Brown), and Mr. Man/Tar Baby (Julian Deleon and Goodrich). An innovative approach to physical theatricality pervades the production. From the beguiling staging of the opening spider sequence to the finely tuned collaboration of Peeples and McCue in the big chase through the rousing group dance in the final scene, these performers embody characters and story with boldness and flair. Adults will particularly enjoy the pop culture references (check out that Scarecrow!) and wordplay such as the “arugula” jokes, while the kids relish the opportunity to offer ideas on sticky substances for the Tar Baby (peanut butter and jelly, gum, melted candy, and marshmallows were popular choices). McCloud provides creative vision as director, costumer, and sound designer, and Wall conjures effective visuals as makeup designer. Costumes evoke animal identity while also inviting children to imagine. McCue (company manager), Crystal Aldamuy (stage manager), and Jim Litzinger (sound and light technician) contribute to a cohesive production team. Kat Bjorn: Papa, shhh!! I’m starting the interview now. Papa: Okay, time to go be scribe. Seriously, see this show! Kat Bjorn: What does “Br’er” mean? Darion McCloud (Anansi the Storyteller): That’s a good question. It means “brother,” but it can be used for boys and girls—all humanity, really. Heather McCue (Br’er Tiger): Lady tigers thank you! Kat Bjorn: (pointing at Br’er Lion) Are you a lady? Michael Clark (Br’er Lion): Are you referring to my fabulous wig—I mean mane? Kat Bjorn: Take off your mane. Br’er Lion: Don’t mind if I do; it’s getting hot in here. Jerry Stevenson, CCT Artistic Director: He’s not even a natural blonde. Kat Bjorn: If “Br’er” means “brother,” and they’re brothers, how come Br’er Lion, Br’er Tiger and Br’er Bear are always trying to kill Br’er Rabbit? Br’er Tiger: Do you have any brothers and sisters? I have a sister, and we fight like cats and dogs. Anansi the Storyteller: Also, let’s face it, they’re predators. And rabbits taste good. Kat Bjorn: The characters, right? People don’t really eat people. Anansi the Storyteller: Correct. NiA Company does not endorse cannibalism. Jim Litzinger, CCT Managing Director: Nor does Columbia Children’s Theatre! Kat Bjorn: Next question. My Papa says the Br’er Rabbit tales were sometimes codes for African-Americans a long time ago. What does this mean, and what’s a code? Anansi the Storyteller: A code is when people say one thing but mean something else. And your Papa is right. During slavery, black people were treated really badly. They used these stories to feel better. Br’er Rabbit was code for black people; Br’er Fox and the other Br’er predators were the slaveholders. Anansi the Storyteller: Right. They had to speak in code or risk getting punished. Kat Bjorn: Why does Br’er Rabbit carry a knapsack in the show poster but not in the play? Anansi the Storyteller: Um, director’s choice, I guess. Kat Bjorn: Did it have anything to do with budget? Jerry Stevenson, CCT Artistic Director: Knapsacks definitely would have broken the bank. Kat Bjorn: I’m pretty good at crafts. I could make a knapsack pretty cheap. Anansi the Storyteller: We’ll have to hire you next time as a financial consultant. Kat Bjorn: Excuse me, Mr. Scarecrow, can you tell us about “Purple Rain”? Anansi the Storyteller: Actually, that’s the Actor Formerly Known as Scarecrow. The scarecrow’s real name is Button-Bright. It’s named after a character in L. Frank Baum’s Sky Island. The Prince mask is another story altogether. Kat Bjorn: In the book we’re reading at home, Uncle Remus is the storyteller. But in this play, it’s Anansi the Spider. Why? Anansi the Storyteller: Actually, many of the Br’er Rabbit stories were originally African folktales. And in Africa, Anansi the Spider narrates the tales. Br’er Lion: Well, I never got there, did I—thanks to Br’er Rabbit! So we’ll never know! Kat Bjorn: How do you prepare to act like an animal character? Bonita Peeples (Br’er Rabbit): I use my imagination! I try to think childlike. And rehearsal is a great place for me to practice my imagination! Kat Bjorn: What was your favorite part of the show? Jimmy Wall (Tar Baby): When they’re planning to cook Br’er Rabbit. Br’er Rabbit: When Br’er Rabbit interrupts Sister Moon in the shower. Br’er Lion: The Tar Baby story. Kat Bjorn: Final question: How come Br’er Rabbit always outsmarts Br’ers Lion, Tiger & Bear, but isn’t smart enough to realize Tar Baby isn’t really alive? Br’er Rabbit: You can’t be smart about everything—but I did get myself out of that jam, didn’t I? Bre’er Rabbit runs June 12-21 with performances at the following dates and times: Friday, June 12 at 7 p.m.; Saturday, June 13 at 10:30 a.m., 2 p.m. & 7 p.m.; Sunday, June 14 at 3 p.m.; Saturday, June 20 at 10:30 a.m., 2 p.m. & 7 p.m.; Sunday, June 21 at 3 p.m. Tickets are $10 for adult and children 3 and up. Seniors & Military ticket prices are $8. Tickets are $5 for the Saturday 7 p.m. performance. The Columbia Children’s Theatre is located at the Second Level of Richland Mall, 3400 Forest Drive (corner of Beltline and Forest Drive). Enter the Second Level parking garage walkway and park in Level 2-L for easy access. Call 691.4548 for more information or to reserve tickets for groups. To learn more about Columbia Children’s Theatre , visit http://columbiachildrenstheatre.com/ . The breakthrough for the ceramic sculptures for which Columbia artist Peter Lenzo now is known nationally came in 2000 from his then four-year-old son Joe. Lenzo was making face jugs steeped in Southern tradition when his son asked whether he could stick all kinds of stuff into Lenzo’s ceramic heads. He could and in the process set his father on a course that would result in highly embellished, at times frightening ceramic figures and faces adorned with found and created objects sticking in and out of bodies and faces that are at times unrecognizable as the face jugs from which they originate. The adornments range from ceramic shards to found or purchased porcelains dolls, animals, pipe heads, trains, shoes, roosters or Virgin Mary statues and snakes, leaves, sticks and other things that Lenzo makes himself. For its June exhibition, if ART Gallery will show 22 ceramic sculptures that Lenzo and his son, the now 19-year-old Joe Scotchie-Lenzo, created together in 2000–2002. The exhibition, Peter Lenzo & Joe Scotchie-Lenzo: Origins 2000–2002, will open June 5 and run through June 27. The opening reception is Friday, June 5, 6 – 9 p.m. A gallery talk by Lenzo and Scotchie–Lenzo will be Saturday, June 20, 2:00 p.m. The exhibition will be accompanied by a catalogue. “I made my dad famous,” Scotchie-Lenzo used to say about his dad. “He started saying that right away,” Lenzo says. In truth, Lenzo already had a considerable reputation with other kinds of work – cabinet-like altarpieces filled with found objects and personal mementos. But in the late-1990s, Lenzo no longer could make such pieces as brain damage from a bicycle accident in his youth had caught up with him, and he increasingly suffered from seizures. Working with a table saw and other power tools to create the altars was an accident waiting to happen. As a result, Lenzo had switched to clay exclusively, making Southern-style face jugs. While Lenzo loved making traditional face jugs, he also worried about abandoning the fine art world from which he came. The new work inspired by his four-year-old bridged the gap. “Working with Joe gave me a direction to go in when I didn’t know where to go. I wouldn’t say Joe made me famous, but he made me sane.” Peter Lenzo (b. 1955) is a widely recognized ceramic sculptor with a national profile. The New York City native, who grew up in Detroit, was selected for the 1995 and 1998 South Carolina Triennial exhibitions at the South Carolina State Museum in Columbia; the 2011 exhibition Triennial Revisited and the 701 CCA South Carolina Biennial 2011 and 2013, all at 701 Center for Contemporary Art in Columbia; and Thresholds, a 2003 exhibition of Southeastern art dealing with religion and spirituality that traveled extensively throughout the Southeast. Lenzo’s work is in several museum collections, including at the South Carolina State Museum, the Mint Museum in Charlotte, N.C., and the Renwick Gallery at the Smithsonian Museum in Washington, D.C. His solo exhibitions include those at the Spartanburg (S.C.) Museum of Art, the European Ceramic Work Center in Den Bosch, The Netherlands, Great American Gallery in Atlanta and Ferrin Contemporary gallery in Massachusetts. Lenzo and his work have been featured in numerous books, exhibition catalogues and articles about ceramic sculpture and Southern art. They include the Threshold catalogue, 500 Figures In Clay (2005), Robert Hunter’s Ceramics in America (2006) and Poetic Expressions of Mortality: Figurative Ceramics From the Porter–Price Collection (2006). He holds an MFA from Wayne State University in Detroit and used to teach at the University of South Carolina, Columbia. Joe Scotchie-Lenzo (b. 1996) has been making and selling ceramic sculptures off and on since he was four years old, although he hasn’t produced any in three years. One co-production with his dad is in the collection of the Smithsonian’s Renwick Gallery. One of his individual works is in the South Carolina State Museum collection. Scotchie-Lenzo is a native and resident of Columbia, where he is a business major with an interest in retail and clothing at the University of South Carolina. After the original version’s success in 1946, a Tony Award-winning revival of Annie Get Your Gun (with libretto revised by Peter Stone) opened on Broadway back in 1999, starring Bernadette Peters and Tom Wopat. As a graduate student living in New York City at the time, this reviewer was pleasantly surprised by the complexity of a fictionalized depiction of celebrated sharpshooter Annie Oakley’s success in Buffalo Bill’s Wild West show and her romance with star Frank Butler. Any self-respecting musical theatre kid grows up to be familiar with numbers like “There’s No Business Like Show Business” and “I Got the Sun in the Morning.” Yet Annie Get Your Gun offers more than toe-tapping favorites, with a challenging book that provokes questions about treatment of Native Americans and considers the nuances of gender roles in professional and personal relationships. As produced by Village Square Theatre, Annie Get Your Gun (music and lyrics by Irving Berlin, book by Herbert and Dorothy Fields as revised by Peter Stone, and orchestrations by Larry Moore) succeeds on multiple levels. From the sprightly, inviting opening number to the vibrant finale, Annie Get Your Gun is sure to please longtime fans of the musical along with audience members who are new to the show. The large cast is costumed beautifully by Nancy Huffines and Heidi Willard. Clever set designs work effectively to convey numerous locations, from a steam train to a cattle boat to the Hotel Brevoort, with various other stops in between. Ensemble members collaborate on fluid and efficient scene changes, particularly impressive with a show of this scope and size. Led by the extraordinary star power of Pipkin, the Village Square cast and production team have achieved an enjoyable production of Annie Get Your Gun. (Audience members with younger children will want to be aware that the show includes some mild language and a few suggestively racy moments.) Performances will take place on May 15 and 16 at 7:30 pm and May 16 and 17 at 3:00 pm. For tickets and more information, contact 803-359-1436 or visit www.villagesquaretheatre.com. Jasper - The Word on Columbia Arts is always happy to plug, brag on, and otherwise promote the work of up-and-coming talents in the art world. We note therefore with great antici......... pation a new show by a new artist, opening later this week at Vista Studios / Gallery 80808 (located in the heart of the Vista, at 808 Lady Street.) Katie Baehler isn't entirely new; she has lived in Columbia since 2006. A native of Spearman, Texas, she studied Printmaking and Art History at USC, graduating in 2011. Her work was featured in the BFA exhibition Devil in the Details at the McMaster student gallery in 2011, the Ink & Paper exhibition at the Columbia Museum of Art in 2011, the Union County Arts Council Competition in 2011, and received the 1st place undergraduate award at the USC Student Art Exhibition in 2011. While at USC Baehler also received the Ed Yaghjian student award in 2010, and was President of the Ink & Paper club. You may know her from her day job as gallery assistant at if Art Gallery, where she has been a gracious hostess for any number of openings and exhibitions over the last year. Now she gets a chance to show off her latest series of carved acrylic paintings in her new show, "Strata." Carved, you may ask? Yep - these works are created using 30 or more layers of paint, then carved to show the layers of paint, much like a crosscut of geologic strata. Baehler’s oil paintings will also be featured; these are created using a more traditional technique, but still display the same types of intricate patterning. As she asks in a press release, "Have you ever wondered how the Aztecs might have designed a circuit board, or what crop circles would look like if aliens had a taste for Art Deco?" We can't wait to discover the answer! Strata will be on display Thursday, June 7th through Tuesday, June 12th at Vista Studios/Gallery 80808 (located at 808 Lady Street in the Congaree Vista.) The exhibition will be open to the public weekdays 11-7, Saturday 11-5, and Sunday 11-3. An opening reception for the artist will be held June 8, 2012, from 5 to 9 PM. I have been involved with theatre in Columbia almost all of my life. It is an outlet, which from an early age, has given me more encouragement and excitement than almost any other activity in which I have engaged. After moving away to another country, I was without my theatre for an entire year. That was enough of that I knew. I decided that I would never live my life without the theatre again. One of the main things that I missed while in that foreign land, where I did not speak the native language, was a community. I had other foreigners, like myself, to joke and talk with and on a certain level connect. There is a bond built when you share an interesting situation like living abroad. But there is no community that I have ever felt more alive and involved then that of the theatre community. Upon my arrival back to the States I dove back into my old passion. I was barely in the country a week when I had signed on to do my next theatrical production, Reasons to be Pretty, at Trustus Theatre. And voila, I was back. As I became more aware of my surroundings, and the reverse culture shock began to wear off I noticed that something had changed in Columbia. Well something had changed, but so had I. My eyes were opened wider than they had been before my departure and noticed this little city, that I had known all my life, opening up for me. All of a sudden there were artists of all variations wherever I went. I found myself traveling in packs of people I had never met before, but who spoke and looked liked the ones I had always known only slightly different. Somehow this college town that seemed monotonous and trite and something to complain about had become a flourishing venue for the arts and a breeding ground for new experience. Where had they come from, had they been here all along? I don’t know and I don’t care, all I know is that it is here and it is now and it is all happening. Working as a legal assistant most of my college career I spent plenty of time on Main Street hustling court documents and vying for stamps and certified signatures. Now I stroll down the street dipping in and out of various buildings hoping to see some inspiring work of art, whether an instillation at Anastasia’s or the ever changing scenes at Tapp’s. The first few times at gallery openings around town I noticed a large audience of my peers, people whom I barely recognized as someone who may or may not hangout at that bar I like to go to. In general there just seemed to be a thriving scene of interesting and interested people feeding off this new cultural frenzy taking place in our small southern city. Everywhere you look people are building and creating. It is vibrant and exhilarating to watch and feel. Having been a part of the creative class of theatre folk that has been pounding on the door to this city for decades, I couldn’t help but want to combine the two. What separates the arts from one another? The genres of course, the performer, the visual artist, the sculptor, the musician…director etc. at the heart of each of these individuals lies the same bit of truth. Creation. Where there once was nothing now there is something, from a blank page, a blank wall or a blank stage each of these creators adds life to the lifeless. So why is it that we keep them all separate, one thing here another there and very little mixed in between. Arts in this climate, political and economical, are something that have to be continuously fought for, but one of the most important things in a community worth the fight. To begin we must evolve these communities into one. Separately theatre, film and galleries have thriving followers. The would be regulars at the local bars, the ones we can count on to support us no matter what, but how much can we ask of the ones who already give us so much. We need to share with each other. Open our doors to collaboration between the arts. Introduce each other to the enriching beauty this city has to offer. Make it our mission as creators to build a bridge for our supporters to support each other creating a solid base for this city’s artistic class to not only stand on but rely on as well. This is the 27th season at Trustus Theatre. We have been pushing the creative envelope since the doors opened in 1985. Yet as I stroll down Main Street I will meet many a people who have never set foot in the doors of the theatre, or any theatre in town for that matter. That has to change. Selfishly of course, I would do anything to keep our doors open because I believe in what we do, but at the same time I think we could offer those people a new experience one that they can keep coming back to and counting on. Just as I say that there are plenty of Trustus regulars who have never set foot in a gallery in this town. It would almost never occur to them to do so. It isn’t there style, it isn’t their interest. But isn’t it, really? Think about it, we are all after the same thing even if we go about it in completely different ways. We are a family and right now we are estranged. That makes for pretty lonely Thanksgiving dinner. Wouldn’t it be much more fun to bring all the quirkiness together, all the eccentricities supporting one another like one big dysfunctional family? I mean it doesn’t get much more dysfunctional than trying to consistently create in a state that thinks the arts should be thrown out with yesterday’s trash. Well one governor’s trash can be one community’s absolute treasure. But it has to be one that we all share. No finder’s keepers, but finder’s givers. Tell us what is working for you and share your successes with everyone else out there trying to keep this cultural class in Columbia on the rise. We have started off simply, by asking some of these visual artists to hang their work in our theatre. Help us turn our space where we sometimes hang art into The Gallery @ Trustus. So far we have bemet with overwhelming excitement from those involved. Next we are asking the writers who fill notebooks whilst sitting in small coffee shops to write a poem and enter it in our Spring Awakening Poetry Contest. We want you to enhance our audiences with your words, like our actors enhance them from the stage. Our goal is to make Trustus an artistic experience, but it takes you to make that possible. Enter your poetry, hang your art, come see our shows. Tell your friends. In return you can expect them same from us. We will go to your shows and look at, maybe even buy your art. We will listen to you sing and watch you mesmerize us with your dance. But all in all we have to do this together, let’s make Columbia an Artistic Experience. Trustus Theatre, in conjunction with this December’s production of the Tony award-winning Broadway hit musical Spring Awakening and Jasper Magazine, announces The Spring Awakening Poetry Contest. Share your own experiences, your own version of the coming of age experience through poetry. The winning poems will be published and winners will receive tickets to Trustus Theatre’s production of this award-winning play. Winner of 8 Tony awards, including Best Musical, Spring Awakening celebrates the unforgettable journey from youth to adulthood with power, poignancy, and passion. Although our own experiences are individual, the coming of age theme resonates with all of us. Whether it was tragic or transformative, the loss of innocence of the power of self-discovery, we all experience coming of age as a kind of awakening. What did you learn (or not learn), and what can we learn from you? What does it mean to you to come of age, to awaken, to discover who you are, to become an adult? Each winner will receive 2 tickets to Spring Awakening at Trustus and will have their poems published in the shows program AS WELL AS being published in the January edition of Jasper Magazine. Besides Fan Favorite the winners will be chosen by Ed Madden, literary editor for Jasper. Submission Guidelines: Work can be any form or style of poetry, but the poem should focus on the Spring Awakening coming of age theme. Poems should not have been previously published in print or online, including personal blogs and internet web pages. Only one entry per person. If you are entering the High School portion please tell us what school you attend! A few years ago at a ceramics show at Vista Studios Gallery 80808, I fell in love with a colorful little bowl with a wonderfully retro-looking woman’s face on a blue background with a cartoon word bubble that said “Enjoy” and spoons floating around the perimeter. The purple rim had the words “EAT IT UP YUM” carved into the clay. Inside, I was greeted with another lush burst of green glaze. The whole work had this whimsical, imperfect feel to it, almost as if molded by a child, but this clearly was not a child’s work. It was the work of Georgia artist Vanessa Grubbs, the MFA-toting-accomplished-in-her-own-right daughter of celebrated Columbia artists Steve and Mana Hewitt. I loved that bowl. I bought that bowl. And every time I look at that bowl (pictured), it makes me happy. I can only imagine how it must feel to thrust one’s hands into cool damp slab of clay and shape it into something worthy of the kiln. I am so intrigued and amazed by the works of the clay artists we have right here in the Midlands, notably Anastasia Chernoff, Jeff Donovan, Sonia Neale, Paul Moore, Rita Ruth Cockrell, Mike Van Houten, Betsy Kaemmerlen, Diane Gilbert, and so many others. So on a recent visit to Southern Pottery on Devine Street, I picked up a post card announcing the celebration of American Craft Week, which runs October 6-16. I know there are many choices for arts lovers this week. However, if you – like me – love pottery and the clay arts, you must make it out to Southern Pottery some time between today and Saturday, Oct. 16. Tonight, Oct. 6, the Southern Pottery is hosting a reception from 6-9 p.m. for Cardinal Newman presents “Southern Icons,” hand-built clay works depicting social, religious, and cultural traditions through the eyes of teenagers. I know, it's First Thursday on Main, and there are shows at 80808 and City Art, too. But if you're a time-management wiz, you might be able to hit all of them. And Friday, Oct. 7, the Southern Pottery will host another reception from 6-9 p.m. to celebrate “We Are Here,” clay and fiber works by Leanne Pizio and Paige Cox depicting aliens, UFOs, and quirky extraterrestrial visitors. Also on Friday, visitors to Southern Pottery are invited to participate in the “Made in China” mug swap. Those who donate their intact Chinese-made mugs (limit 4) will receive 20 percent off an American handcrafted mug. The following week, on Friday, Oct. 14, Southern Pottery will feature artist demonstrations by Tuula Ihamaki-Widdifield and Susan Tondreau-Dwyer from 6-8 p.m. And on Saturday, Oct. 15, you can enjoy more demonstrations by Diane Gilbert and Paul Moore from 12-2 p.m.
Who knew? I urge you to check out some of this awesome clay-oriented action over the next 10 days. For details, visit www.southern-pottery.com or call the gallery at 803-251-3001. And tell them that Jasper sent you. Okay, okay—it’s not really “new” (the record came out in February), but we here at Jasper just got rolling, so you’ll have to forgive us for reaching back a bit. The Unawares are a three-piece rock band fronted by guitarist/singer John Watkins and backed by bassist James Wallace and drummer Rhett Berger. And these guys have a very particular, and awesome, notion of what rock and roll should be. Actually, you know that band Jack Black supposedly joins in High Fidelity? The Unawares are what that band would have sounded like in real life. These guys synthesize a whole host of elitist-record-clerk favorites from the 1980s, most notably groups like the Pixies, Guided by Voices, and the Meat Puppets. And, hey, there’s really nothing wrong with that. In fact, it sounds pretty great—delightfully odd rock tunes full of crunchy guitars, indecipherable-yet-catchy vocals, and an emphasis on keeping it short but sweet (3 out of 15 songs break the 3:00 mark) can really pay some strong dividends. The group has released two full-lengths and an EP prior to this, but it seems like When The Trees are Empty has finally captured the “big” rock potential of this garage punk three-piece, kind of like the way New Day Rising did for Husker Du. The band has always had succinct little rock fancies that hit you over the head and disappear shortly thereafter, but this time you kind of get the feeling that these tunes would work just as well in the outdoor theater or hip concert hall as in the sweaty barroom clubs and dives that this kind of music is normally found it. Kudos to Chris Wenner, who records the band’s records and provides the magical glue that re-creates their live sound on tape. Anyway, aside from all my musings, Columbia really should (and often does) count itself lucky to have a rock and roll band of the style and caliber as The Unawares. Check out the band’s website here: http://theunawares.com/index. Although singer/songwriter Hannah Miller began her music career in Columbia, she recently left the Capitol City in the hopes of breaking it big in Nashville. Still, we here at Jasper tend to hang on to our ex-pats, cheering on their careers and welcoming their new output and hometown returns. We hated missing her record release party last Friday (a surfeit of wonderful arts options that night! ), especially because her new record is absolutely amazing. Recorded with the help of top-notch producer Neilson Hubbard, who has worked with the likes of such accomplished singer/songwriters as Matthew Ryan and Garrison Starr, O Black River’s 6 songs are easily the finest of Miller’s recorded output. While she has had great production work in the past on 2008’s Into the Black (Mitch Dane) and last year’s Journey to the Moon EP (Ian Fitchuk and Justin Loucks), this time the sound fits the songs like a glove. From the muted trumpet playing on “To the Swift” to the foreboding drums and ominous guitar riffs on “Bleed Out,” Hubbard matches each tune with a full-but-not-overbearing accompaniment that shows a care and attentiveness fitting the song rather than just coloring in the white space—which is one of the hardest things to avoid when trying to flesh out solo performer-oriented folk-pop tunes. Even more fortunately, Miller has evolved into a first-rate songwriter, and every song here deserves attention. Beginning with the gospel-inflected title track, Miller also shows off her mastery of the slinky pop in “To the Swift” and “Elijah,” introspective balladry on “Elijah” and “Refuge,” and gets damn near indie rock on the throbbing “Bleed Out.” She’s always had a penchant of unorthodox genre mixing, but it has never come across so effortlessly natural until now. So, while Miller sounds quite happy in the Music City, we can only hope that she remembers where she came from and that she comes back often—and we encourage you to support an artist who has been so thoroughly dedicated to her craft that we might soon be talking about her in national rather than local terms. You can find more information about Hannah Miller’s music @ hannahmillermusic.com. There are many fine parts to the puzzle that makes First Thursday on Main Street the delightful experience that it is. Here's a look at just one of the happenings being presented on Thursday, October 6th at S & S Arts Supplies on Main Street. This October's First Thursday on Main event is sure to be filled with thrills, chills, and cute n' creepy creatures! This amazingly talented local artist has a HUGE show in store for you! In addition to the crazy fun artwork inside, there will be many more surprises as well! You can dance the night away on Main street to the musical stylings of DJ Dr. Scott Padget, or play dress up and get your photo taken with Red Road Portraits photo-booth! J. Spencer Shull is a self taught artist born and raised in South Carolina. His style incorporates aspects of cartoon illustration, pop surrealism, and lowbrow art. Along with his wife Kelly Shull, J. Spencer runs Jellykoe, an art collective. The husband and wife duo specialize in making one of a kind plush monsters as well as original 2-D artwork. Together, they have exhibited their work at art shows, festivals, and conventions in over eleven states. You can view more of their work at: jellykoe.com. Photographs, like the one below by Kirill Simin, are coming in and the deadline in approaching -- send us your shots, Photogs! Of all the canvasses with which artists work, there is a warmth and depth to wood that makes it hard to compare to other materials. Maybe it's because of its organic nature; maybe its because wood is such a part of our daily lives, evoking so many images -- from shelter to forests to fire. McMaster Gallery on the campus of USC at Senate and Pickens Streets is hosting, this week for the last week of a month-long run, an exhibition in wood by an impressive set of international artists. The likes of Jasper were found to be wondering the halls of the McMaster building this weekend, so we stopped by the small gallery for a gander at the exhibit. We found whimsical sculptures, functional vessels, and naturally-occurring burls on objet d'arts so beautiful they could make a strong woman weep. The only problem we had was in resisting the temptation to touch! Jason Ayer is a Columbia native and creator of the Palmetto Pointe Project which will be highlighted starting this Friday at Cool Beans Coffee Shop on College Street through October 30. His unique and captivating photography collection showcases local dancers in unconventional settings far from the confines of the dance studio. Ayer’s interest in photographing dancers began as a high school student in Charleston. He did technical work for the Youth Company in Charleston, and moved back to Columbia in the 1980’s and tried his hand in theatre by performing dance and musical roles at Workshop Theater for a decade. “I did a little bit of everything--singing, dancing, and acting.” Now, Ayer is the photographer for the USC Dance Program as well as the Coquettes. At first glance, the Palmetto Pointe Project is reminiscent of New York’s Ballerina Project which has received widespread recognition from the Wall Street Journal to the Australian ballet blog Behind Ballet. Quite popular on Facebook, The Ballerina Project is inspiring photographers nationwide, although Ayer says his aim is not to mimic the successful venture which focuses on photographing dancers amid elaborate cityscape. His artistic vision spotlights the dancer rather than the setting. “In The Ballerina Project, the landscape often overpowers the dancer,” he says. Ayer prefers to match the setting to the dancer by drawing out their personality in each image, or for a more bold approach, taking them out of their element. Ayers’ process for a typical photo shoot involves meeting with the dancer at a location in the Columbia area, and then focusing his lens as her inner creative spirit is revealed through choreography and movement. Ayer seeks to get the dancers involved in the creative process as much as possible. “What ends up on the canvas relies on them.” He says dance photography is about capturing the personality of the dancer, and oftentimes this is achieved by placing them in settings that may contradict their personality or challenge their creativity. Not only do the dancers drive the photo shoot with their artistry, they are given the final say on all the photographs. Ayers will not display an image that the dancer has not previously approved. “If the dancer doesn’t like it then I’m not going to use it.” The dancer also shares in the profits of any images sold in which they appear. Ayer and his ballerina subjects are making something unique to Columbia. His photographs are site-specific and therefore nostalgic for Columbians. Palmetto Pointe Project is uniquely South Carolinian and true to the artistic setting and lives of the dancers it portrays. His slogan is, “See some familiar and not-so-familiar places in Columbia through the eyes of a dancer.” While he seeks out niches of Columbia for his backdrops, the dancers are central to the art. Each image is named for the dancer and not the place. Most of his subjects are performers with the USC Dance Company, but Ayers is interested in expanding the project to include other local dance companies as well. Goals for the project include a website (already underway), a calendar, and you can check out Palmetto Pointe Project on Facebook now. Friday’s opening will offer the public a chance to meet Ayers, purchase his prints, and meet the dancers featured in his new photographic works. Jasper has been busy and we'd like to take a moment to share what we've been up to with you, our loyal readers. To start with, we released the inaugural issue of Jasper Magazine - The Word on Columbia Arts in print form last Thursday night at a lovely party, hosted by one of our favorite places for imbibing, Speakeasy on Saluda Street in Five Points. It was a grand night, and we were overwhelmed by the kindness and support of the arts community. Thank you all so very much for your kind words and your presence at our birthday party for Jasper. Thanks also to Speakeasy for hosting us and Josh Roberts for entertaining us. The Jasper staff and family has been busy distributing magazines throughout the city. But if we haven't gotten to you yet, not to worry -- we're diligent and we still have more than half of our inventory on hand. That said, we're happy to take your recommendations of spots where you would like to see Jasper distributed. By week's end, we should be all over the Columbia metropolitan area, including Camden, Chapin, Prosperity, and Newberry. And soon, you'll be able to find us in Greenville and Spartanburg, as well. Lenza Jolley, our web maven, has also been hard at work building our brand new website. If you haven't had a chance yet, please visit us at www.jaspercolumbia.com. We hope to make jaspercolumbia.com an extension of the print version of Jasper Magazine. To that end, please find more music by Josh Roberts, more art by David Yaghjian, more poetry by all of our featured poets, well ... more of everything, we hope, at our new cyber home. As you may know, Jasper comes out in print form once every other month on the 15th of the month. If the 15th falls on a weekend, then look for us on the Thursday prior to that date. Our next issue will release on Tuesday, November 15th, for example, but the following issue will release on Thursday, January 12th -- and yes, we plan to celebrate every single issue that hits the streets! But the reality is that Jasper wants to see his arts buddies more than just six times per year. That's just one of the reasons we will be coming to you on our off-print months with various projects and events. On Wednesday, October 26th at 7 pm, please join us for our first ever Pint and Poem Walk. Look for more information on how to sign up for one of only 25 spaces on this one-of-a-kind walk in the coming week at jaspercolumbia.com. On Monday, October 31st, Jasper will host our first ever Ghost Story Salon as part of 701 CCA's Halloween Night Costume Bash. We're busy gathering all the great tellers of tales of ghosts and ghouls from around town to entertain you, via candlelight and creepy tunes, upstairs in the Olympia Room at 701 Whaley CCA. The first stage of our first ever Coalescence Project is well underway as photographers throughout the midlands are submitting their work to Jasper Magazine Coalescence Series - Volume 1: Photography and the Word (http://jaspercolumbia.net/blog/?p=357). October 15th is the deadline for photography and which point local writers will be invited to come try their hands at creating 500 word or less stories to "illustrate" the photographic images. The completed project -- Photography and the Word -- will be unveiled in December. Finally, we have moved into our studio office downstairs at the Tapp's Arts Center on Main Street and we are in the process of tidying up and making pretty. Please join us for a little open house on Thursday, October 6th as Jasper Magazine happily becomes a part of the First Thursday Arts Crawl community. We'll get back to you before then with more information on the treats we'll have in store as we welcome you to our new creative home. Until then, thanks for reading Columbia. And thanks for giving us so many good works to write about. Sometimes the best places to go see live music are the least likeliest of venues. Case in point in the crazy Southern soiree going down in Rosewood Sunday—over a half dozen acts associated with a practice space off of S. Edisto are going to be throwing down starting at 3 in the afternoon. Performances will be both inside and outside the space, with a down-home atmosphere that will see Plowboy leader Tom Hall grilling burgers, a keg of beer being tapped, and a donation jar getting passed to help raise money for the performers (suggested donation is $5). Groups like Say Brother and the Plowboys will play rollicking acoustic music that fits right in with the lazy Sunday vibe of the day, while singer/songwriters Noah Brock and Will Pittman will also be playing in between full band sets. Whiskey Tango Revue will be delivering some of its rough-hewn outlaw country (the group has just put out their debut full-length, Seersucker Soldiers, and should have some copies for sale), while some of Jasper’s buddies in American Gun will be trying out some Afghan Whigs covers in preparation for their cover show on Oct. 15th, in addition to some of their more roots rock-oriented material. The party will also feature one of the first live performances by the new Columbia band The Fishing Journal, fronted by ex-Death Becomes Even the Maiden drummer Chris Powell and featuring some energetic, Superchunck-inspired tunes. These are the kind of bands that everyone can love, and the loose vibes and casual atmosphere should make this humble musical bash the place to be this Sunday. Hmmm. What to write. You stare at the keyboard. Gaze out the window. Contemplate a snack. Pet the dog at your feet. Finally, you tap out a few words, pause, then backspace over them. Repeat. And … repeat. I can’t say I’ve experienced serious writer’s block, but I’ve certainly had my share of what I would call creative slumping. These are times when I feel like nothing original or of good quality issues from my cluttered brain. Nothing flows. It’s all crap. When this happens, I’ve found one of the best remedies is to shut down the computer and head out to a local poetry reading. The Columbia area is full of great talent. There are so many diverse, creative voices here, and fortunately not everyone is slumping at the same time. In fact, many are bursting at the seams with good stuff, and it makes you hopeful that you may be able to write well again. If you pay attention, ideas, themes, and images seem to magically come to mind. It could be a poet’s well-crafted turn of phrase that launches a particular creative thought process for you. I suppose you could call it harvesting − carrying with you the energy that is coming out of that microphone and the people at the reading. This turned out to be one of my favorite poems, an unexpected joy. I hope you like it. And don’t forget that a local poetry reading may be just what the doctor ordered if your brain is feeling a bit anemic.